Why are abortions performed in clinics, not hospitals? Why Are Abortions Performed in Clinics? The answer helps explain why abortion rights have been under siege for decades. Stand-alone clinics made things easier for anti-abortion picketers and hecklers. 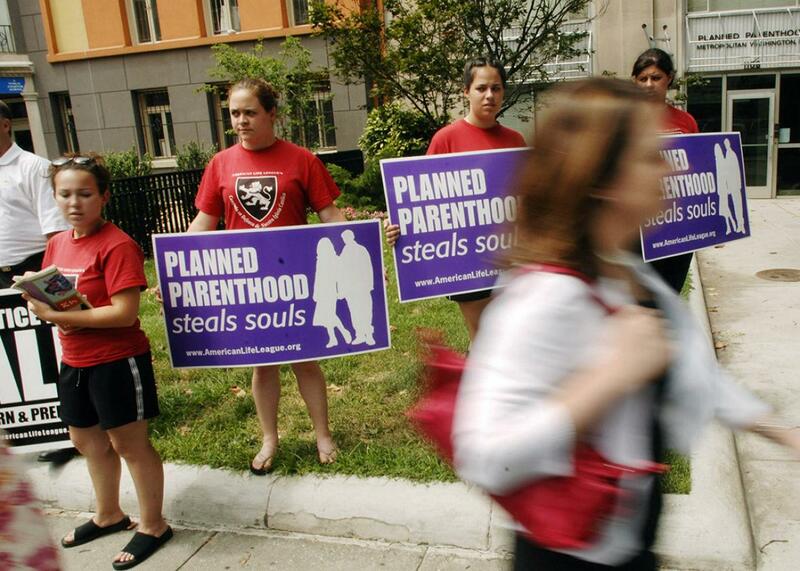 Above, activists protest outside a Planned Parenthood health clinic in 2005 in Washington, D.C. The Supreme Court announced Friday that it will hear its first major case on abortion rights since 2007, deliberating on pieces of a 2013 law that has decimated access in Texas. The case could salvage the state of abortion in Texas and challenge one of its opponents’ best strategies—or it could do the exact opposite. Either way, what’s at issue is not just abortion but the way abortion has, for the most part, been performed in the U.S. since its legalization: in freestanding clinics, separate from hospitals and the rest of the medical establishment. The provisions before the supremes are what abortion rights supporters call “TRAP laws” (targeted regulation of abortion providers). They’re arbitrary requirements imposed on clinics in the hopes of forcing them to shut down. Texas has demanded that abortion clinics be outfitted as “ambulatory surgical centers”—essentially, like operating rooms that perform much more complex procedures—and that their doctors have admitting privileges at local hospitals. Abortion opponents like to argue that this is to protect women’s safety, but abortion providers point out that abortion is one of the safest medical procedures (far safer, in fact, than giving birth). The proof is in the pudding: Abortion in Texas has not gotten safer since parts of the law went into effect in 2013, but about half of the state’s 41 clinics have closed. If these contested pieces are also enacted, the number of clinics will dwindle to roughly 10. Beyond Texas’s borders, the court’s decision may determine whether or not TRAP laws like these constitute an “undue burden” on women’s right to abortion (to quote the language of the court’s 1992 abortion decision, Planned Parenthood v. Casey). If the court upholds the Texas law, then women’s rights advocates need to consider an important question. “If the political trend is to limit abortion provision by pushing nonhospital providers to meet hospital standards, then perhaps one of the things that has to happen is that more hospitals should do abortions,” says Frances Kissling, who ran one of the first clinics in New York state in the 1970s and went on to serve as president of Catholics for a Free Choice. Still, Kissling says, “It’s quite a controversial idea to say, ‘Well, maybe the age of the freestanding clinic is almost over’ ”—in large part because many hospitals remain unsupportive of abortion. With clinics under fire, this leaves abortion providers between a rock and a hard place. Some hospitals do provide abortions; medically complex abortions—for instance, cases in which the pregnancy poses a serious health risk—generally don’t take place in clinics. “I feel very strongly that the landscape of abortion has to include both freestanding independent clinics and hospital-based services,” says Carole Joffe, a professor at the University of California–San Francisco’s Bixby Center for Global Reproductive Health. But the clinics do the bulk of the procedures and provide training and other essential services. “Many hospitals, for political reasons, don’t provide abortion training, because the legislature says, ‘We’ll defund you if you do,’ ” Joffe says. [T]he shift in the law left unclear where exactly abortions should be performed now that the back alley was being phased out. One possibility was hospitals. But many hospital administrators feared that a flood of patients would leave them overwhelmed. … Freestanding clinics seemed like the ideal remedy, which is why reproductive rights advocates spearheaded the call for their creation. There were many benefits to clinics. They were less expensive than hospitals. They could also hire a staff that was enthusiastically pro-choice; by contrast, many hospitals refused to provide abortion care, and in the ones that were willing, some of the staff could be resistant. If the supremes knock down the Texas provisions, they could draw a bright line that protects clinics from endless iterations of TRAP laws. But if the court goes the other way, women’s advocates may need to reckon with the possibility that the freestanding clinic is simply too vulnerable. We can only hope that hospitals could be induced to pick up the slack.